Arburg says the American market is ready for its new large machine, with the model already receiving high demand from US customers. Premiering its Allrounder 1120H injection moulding machine at NPE in Orlando this week, Arburg’s Managing Director of Sales, Gerhard Böhm, said the company had sold the machine on display at the expo and has already received further enquiries. “At the NPE, our Allrounder 1120 H is celebrating its American premiere. 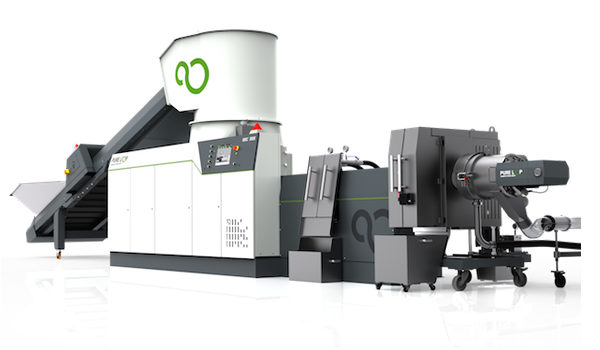 This will please injection moulding companies in the US in particular because they have in the past often expressed the wish of obtaining larger machines from Arburg,” said Böhm. The key features of the new large machine include a new colour and design, as well as the use of the company’s ‘Gestica’ control system. Böhm explained that the next steps in the redesign of Arburg’s other existing machine sizes to include these key features have been completed, with the Allrounder 920 H having been available worldwide since March 2018 and the Allrounder 820 H set to make its international sales launch at the Fakuma trade fair in Friedrichshafen, Germany, in October 2018. Arburg’s sales figures in 2017 were brought into play, with Böhm highlighting a year in which the company was “very satisfied” with the record sales of €698 million and a “very good” capacity utilisation rate to which no change is anticipated in the coming year. He confirmed that the US market is the company’s strongest in terms of exports, with the significance of the continent for Arburg outlined by its commitment to highlighting and exhibiting its latest technology for Industry 4.0 and ‘digital transformation’ during NPE.